It's a new stay at the Courtyard by Marriott Houston West University! Our hotel is conveniently located in the Greenway Plaza - West University area, just minutes away from Texas Medical Center, Lakewood Church, NRG Park, Houston Galleria, world-class Museum district, Downtown Houston, Rice University, and a variety of upscale restaurants and nightlife. The Courtyard West University on-site amenities include the Courtyard Bistro open for breakfast and dinner daily, proudly serving Starbucks Coffee. We also offer a complimentary shuttle within 3 miles, complimentary business center, a boarding pass print out station, outdoor pool/whirlpool, exercise room, and complimentary wireless internet access. 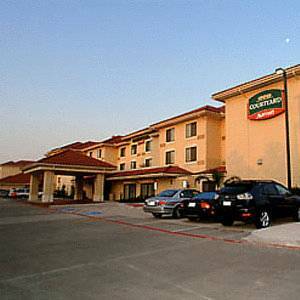 You will appreciate the warm and inviting atmosphere from the moment you enter the Courtyard by Marriott Houston West University!